Web development has become a prevalent phenomenon since the moment digital marketing catapulted to fame. Its importance is not limited to some areas of the world but has also escalated to the outskirts of California. Being a hub of web development, California feels a baggage of progressing in the sector of web development more than other countries. This is the reason why the sector of web development in California is becoming an ever-expanding sea of successful ventures. If you don’t believe us, then read this blog to know this side of the story. It is an undeniable reality that California holds a plethora of companies that wants to progress in the field of website development. They excel in practicing the best content writing and web designing techniques. They strive hard to assist their clients to convert their visitors into the customers. Not to mention, they produce leads constantly to streamline the client’s business processes. California is using the best Artificial Intelligence programs to create apps and websites. It is one of the foremost states to make the most of this trend to build the top-notch apps and websites. California is working hard to develop such software that can act and think without using the strength of a man. California is making these types of applications and websites to widen the scope, power and ability of technology. California is among states who are embracing IoT rapidly among web development projects. Keeping in mind the advancements of technology, it is making the most of this trend by using it in all facets of projects. Californian companies have worked on many IOT-related projects, which allowed them to build systems, controlling devices through iOS Voice apps and messenger bots. It is one of the other trends that Californian companies are following to complete the projects of their clients. Since static site generators create websites easily without requiring a database, completing task of a client within a short span of time. This is an effective way to create websites because it runs web pages on the servers without using any database. As a result, it improves the loading time of website with making the deployment easier and security better. Californian companies are also using bots to streamline and automate the tasks effectively. Apart from that, they are also incorporating conversational UI into the projects of their clients. The conversational UI makes it easy for the users to interact with the websites. Californian companies are also striving hard to use Chatbots to support the customers in the best possible way. They have stopped using the method of email ping-pong to solve the problems of their customers. The sector of web development in California has progressed to a great extent because Californian web development companies follow a proper strategy. They stay acquainted with the latest techniques and technologies to attain technical artistic prowess in the realm of app development. Californian companies also prefer creating web development teams instead of allowing tasks of web development to the individual employees. This is an effective method of developing a website because it minimizes error, saves resources and combines the workforce. Californian companies lay more stress and emphasis on deadlines than any other work-related activity. They ensure that their teams meet the deadlines of the clients and deliver them the work that reflect best quality, well-defined strategy and top-notch idea. They believe that time is significant and it should be utilized properly so that each second becomes productive. The sector of web development in California has reached the pinnacle of success by carrying out an extensive research over the way web development industry works and comes up with new trends, ideas and technologies. They also learn the methods to incorporate the latest technologies and methods into the works of clients. Californian companies have a very different outlook towards work. They don’t stay dependent upon the theoretical knowledge but also focus on the practical example. They believe that by implementing the theory practically, they will learn more. 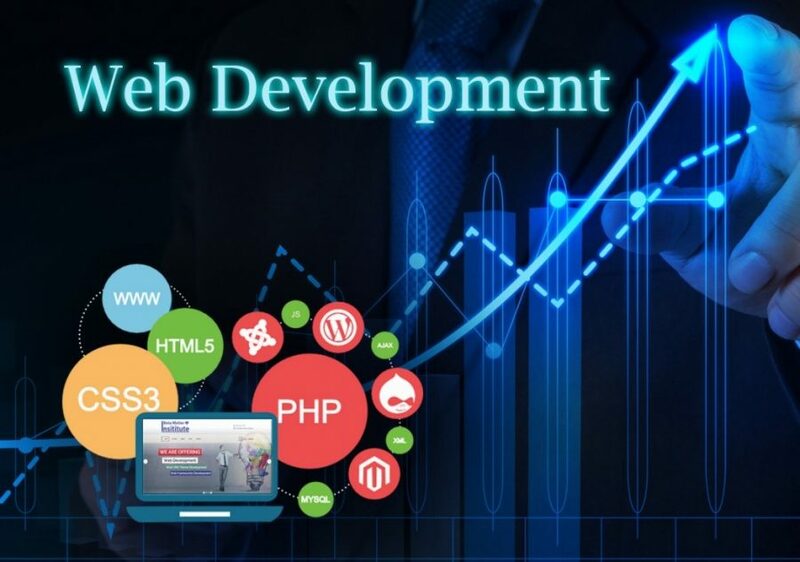 Therefore, they conduct in-depth researches and multiple surveys taking other web developing organizations into account, so that they can learn about the pros and cons of web development. As a result, they become able to integrate them into their work. California has shown the massive feats of excellence, determination, perseverance, zeal, and vigor in the field of web development. It has achieved myriad goals and objectives In the field of web development that now other states look up to it to gain some inspiration. It has strengthened the foundation of web development due to its ceaseless efforts and passion to deliver the best work. Not to mention, it has established itself as one of the most prestigious states that know the art of developing the top-notch apps and websites.